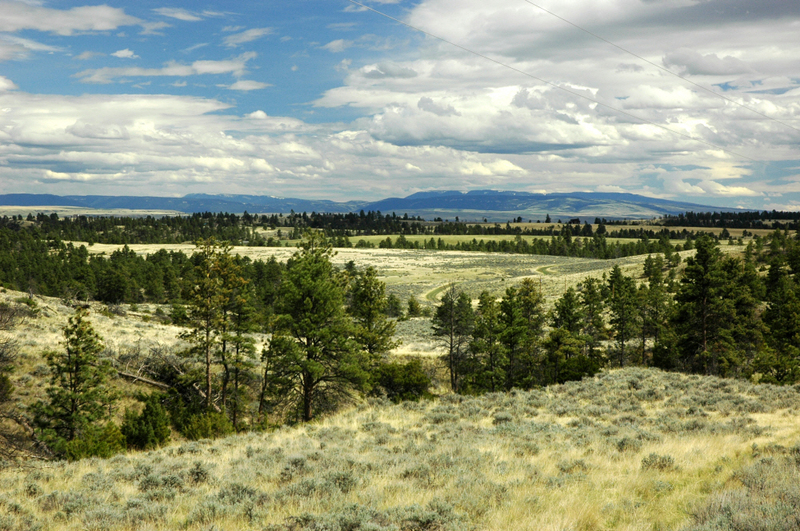 This land is west of Billings about 30 miles, about 12 miles from Laurel. This is a private area, yet convenient for year-round living.... you will have neighbors, but they are on 80 yo 160 acre parcels.... lots of wildlife including deer, elk, turkeys, even an occasional bear or mountain lion! Owner financing is available with 10% down. Call me for details-- Dean at 406-580-3372. This property is about a mile off the county road, about 6.5 miles from the Interstate 90. Property has some very impressive sandstone rimrocks.... power crosses the property and is set-up at the well, telephone to the lot, great views and lots of pine and juniper trees! This property is fenced on two sides. It has great views from the top, but you probably cannot build a road up there!! Very rugged western and northern half.... but it also has some very private draws and coulees where you can build your hidden retreat.